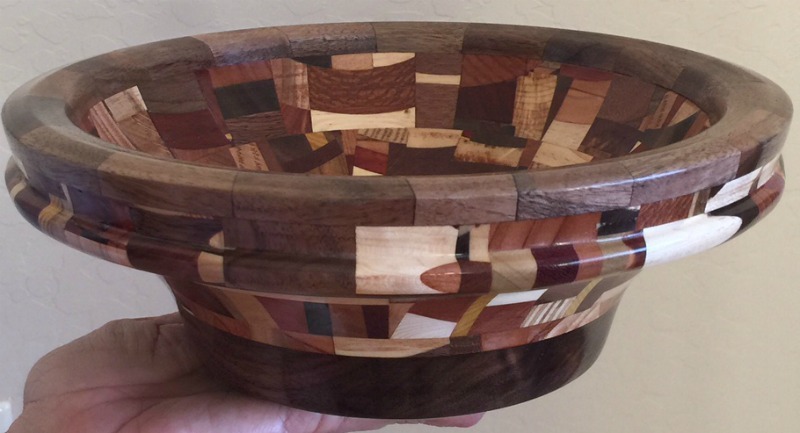 Candy bowl, carefully crafted from Spalted Maple and Purple Heart woods. ​8" in diameter and 5" tall. 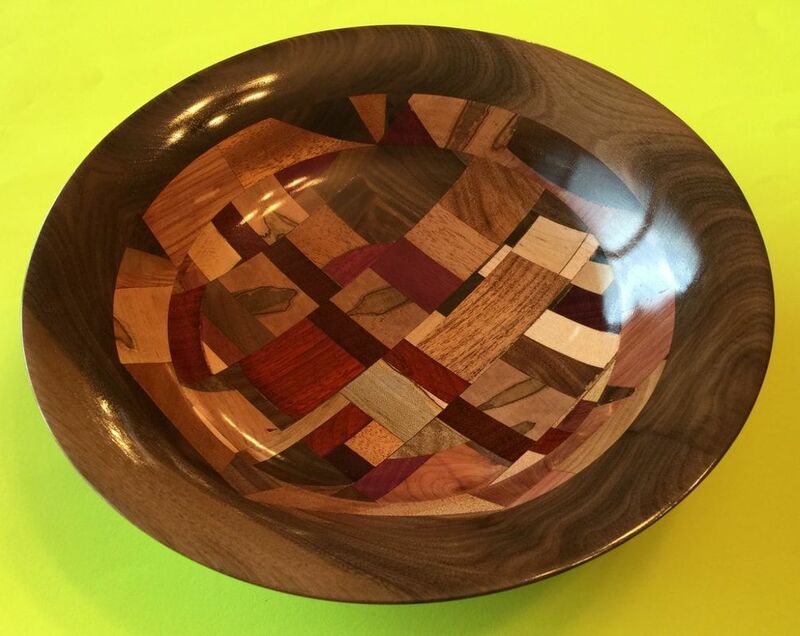 ​The internal circle at the bottom was done with purple heart veneer embedded in the maple. 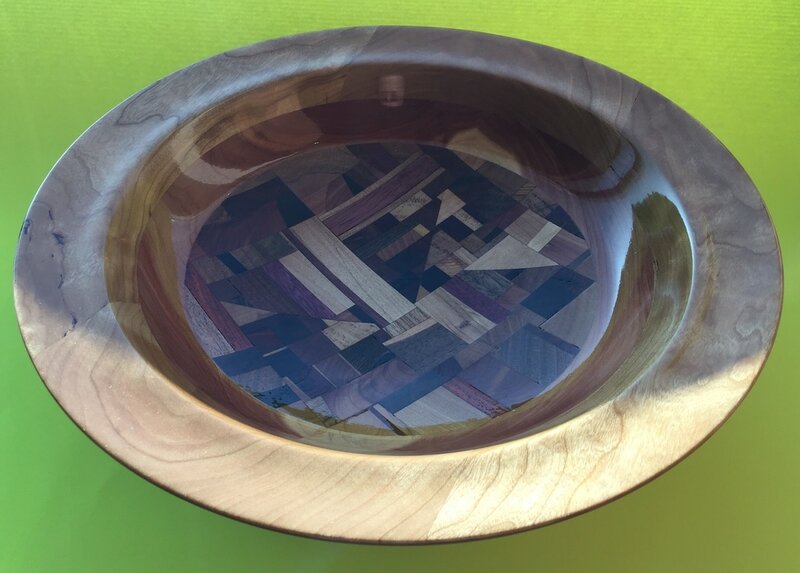 Size is 10" x 3"
​ Rotating Lazy Susan - 16"